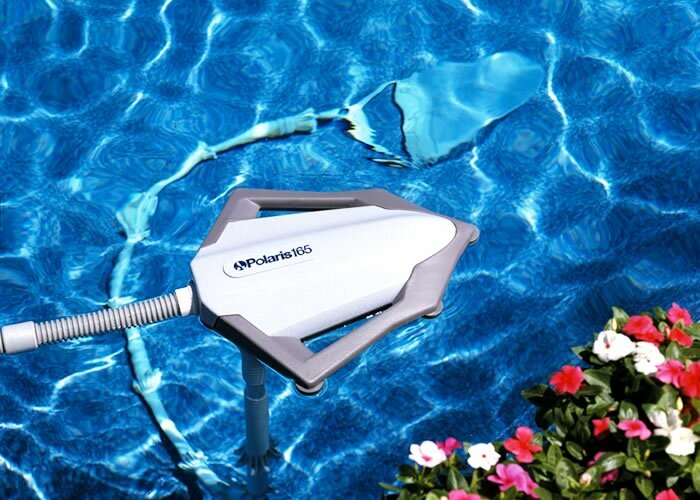 For a reasonable price, an automatic pool cleaner can do the same job. In fact, you may find that, overtime, an automatic pool cleaner ends up paying for itself. Polaris 65Polaris’ best above ground automatic pool cleaner is powered by the pressure of clean water returning to your pool. 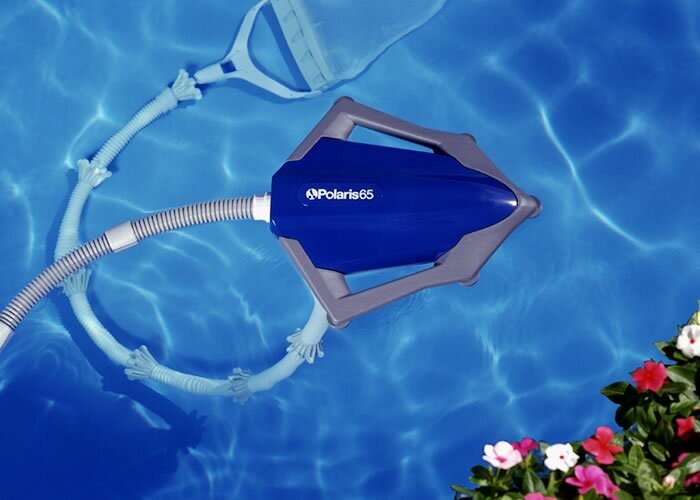 The Polaris 65 installs in minutes and is suitable for all aboveground pools up to 5-feet deep. It loosens debris in hard-to-reach places and traps large debris, like leaves and pebbles, in its own filter bag. 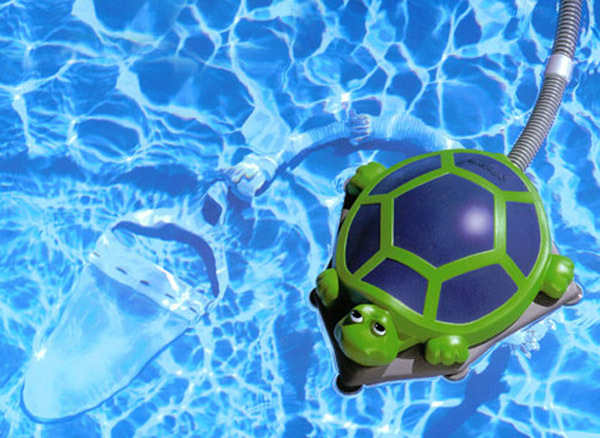 Turbo Turtlehappy combination of automatic pool cleaner and decoration, the Polaris Turbo Turtle® is powered by the pressure of clean water returning to the pool. Suitable for all aboveground pools up to 5-feet deep, it loosens debris in hard-to-reach places and traps large debris, like leaves and pebbles, in its own filter bag. Polaris 165Polaris best in-ground automatic pool cleaner for vinyl or fiberglass surfaces, the Polaris 165 operates with the pump and filtration systems normally found on these pools, and installs in just minutes. 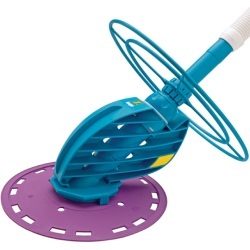 Powered by the pressure of clean water returning to the pool, the 165 uses a patented jet sweep assembly that blows water against the pool wall to loosen debris in hard-to-reach places even if the pool has an uneven bottom. Its easy-to-remove filter bag captures debris before it reaches your pump basket or filter. Durable AIB Diaphragm – Simple and reliable one moving part technology. 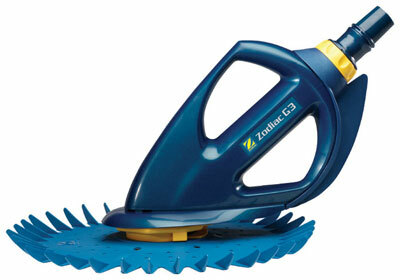 Finned Disc – 24-fin disc allows cleaner to move freely over lights, fittings and ladders. Wheel Deflector – Enables enhanced agility and thorough pool coverage. Long-Life™ Diaphragm – Superior, reliable one moving part technology. No gears, wheels or flappers for simple, silent operation and low-cost maintenance. 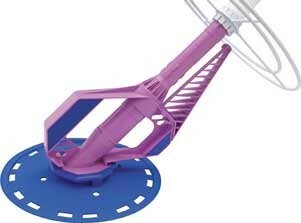 36-Fin Disc – Ensures maximum adhesion on all pool surfaces, and eliminates hang-ups on lights, drain covers and fittings. Patented Quick-Release Cassette – Provides quick and easy access to the diaphragm for simple maintenance. Extra Large wheel Deflector – Helps the Ranger from getting caught on steps, ladders or in corners so it can keep on cleaning your pool. Quick Release Cassette and Diaphragm (inside) – The Ranger features one operational moving part. No gears, wheels or flappers means simple operation and maintenance. AG Disc – Allows the Ranger to glide effortlessly along the bottom of your pool, up the sides and around steps, cleaning your whole pool. 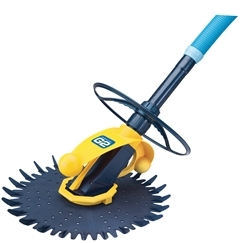 Quiet Operation – Other cleaners make an annoying flapper or hammer noise. The Ranger was built to work quickly, effectively and quietly. Installs in minutes — Since it’s pre-assembled in the box, just attach the hose. No tools or special plumbing are required. Extra Large Wheel Deflector — Helps the Baracuda from getting caught on steps, ladders or in corners so it can keep on cleaning your pool. Hyper Disc — Allows the Baracuda to glide effortlessly along the bottom of your pool, up the sides and around steps cleaning your whole pool. Diaphragm (inside) — The Baracuda’s one operational moving part. No gears, wheels or flappers means simple operation and maintenance. Flowkeeper Valve with Insta-Skim Compact – Self-adjusting flow control valve automatically regulates water flow, ensuring peak performance.